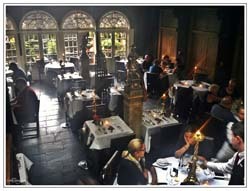 Just access www.thewitchery.com and you will find several photos with a luxurious restaurant, where eating is always a pleasure. 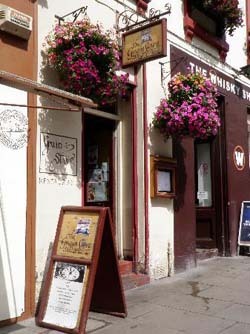 Situated right next to Edinburgh Castle, in Edinburgh Royal Mile, the Witchery by the Castle can be easily accessed by foot, by car or by any other means of conveyance. The reasons why people love dinning here are the wonderful ambient, along with staff's positive attitude. If you are a local inhabitant, you probably already know this restaurant. If you are a tourist in Edinburgh, it's time you find out what is 'The Tower'. Described by many as the finest restaurant in Edinburgh, the Tower stands out by its position, originality and diversified menu. 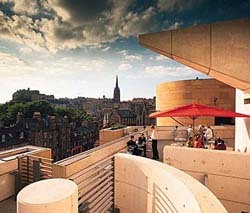 Situated on the roof of a famous tower, this restaurant offers a great panoramic view over Edinburgh's main sights and attractions. The menu is rich and the special offers never miss. 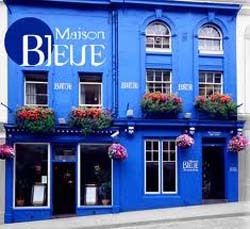 Maison bleue comprises a large palette of cuisines, from the Scottish one to the French and British one. Many people choose this restaurant because it is peaceful, the music plays relaxingly and the ambient is perfect for breakfast, lunch or romantic dinners. You can find this restaurant in the heart of Edinburgh's historic old town, where you will be welcomed by a friendly staff, ready to delight your senses. If you love changes, if you easily get bored and you always seek for something new, in every domain, you should definitely come here. 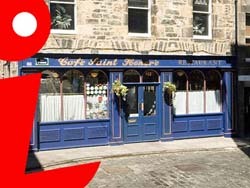 Le Cafe Saint Honore is one of the few restaurants in Edinburgh where the menu changes daily. Therefore, you will have the chance of trying each day a new flavor, even if you order the same plate every day. The staff is fully dedicated to make clients come back, by conquering their culinary tastes from the beginning. Abbotsford is a great pub where people come for fun and relaxation. After entertaining themselves with nice music and lively ambient, visitors can go upstairs, at the Above Restaurant, where they can choose between the several plates from the diversified menu. If you like seafood or beef, you should come here and see how easily you can fall in love with the Scottish way of cooking. The Chefs are always ready to offer you a nice experience. Is there anyone who have not heard about the Kitchin yet? This restaurant received several awards, such as 'best UK restaurant in 2011' and 'best restaurant in Scotland 2012' and it almost became a legend. Opened by Kitchin husbands in 2006, this restaurant has always managed to surprise and conquer all its clients, in such way to make them come back again with the same pleasure and enthusiasm. Are you hungry? Are you in Edinburgh? Then your answer is the Grain Store Restaurant. Focused on pleasing each client who steps into the restaurant, the Chefs prepare all the dishes 'a la main'. Beef, lamb, fish or chicken, everything you want to eat can be easily found here, under different aspects but with the same delicious taste. For more details, visit their official page www.grainstore-restaurant.co.uk. Whether you want to have breakfast with the boss, lunch with the family or dinner with your wife, at City Restaurant all your wishes will be fulfilled right away. Once you step into the restaurant, you will be friendly welcomed by the staff, which will give their best to serve you correctly and provide you with a good restaurant experience. 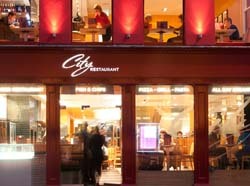 If you want to find out more information about the menu and the decor, visit www.thecityrestaurant.co.uk. One of the best things about this restaurant is the great position, right in the city center, but also the dozens of delicious plates meant to conquer all the clients, prepared with great care by professional Chefs. Amber restaurant is a traditional Scottish restaurant, offering a great range of fine drinks and plates made up of the best ingredients. The lightning, the atmosphere and the music contribute to Amber's beauty.